Ensures proper and timely set-up, service, and breakdown of assigned events according to standards, policies and procedures. Oversees and directs set-up staff and wait staff of the Event Center department. Has the ability to perform all functions of supervised positions. Is responsible for the complete setup and servicing of event areas as assigned. Ensures that function rooms are set per client request or instructions on BEO. Handles last-minute changes and inspects final setup for arrangement and cleanliness. Along with the Event Center Manager, determines the staffing requirements, schedules, work assignments, and training needs as well as interviewing and documenting employee work performance. Assists the Event Center manager in maintaining weekly timekeeping records to submit to payroll, employment activity records, and other departmental reports. Maintains cleanliness of all banquet areas and banquet storerooms. Ensures all equipment such as clean linen, coffee pots, water pitchers, and condiments are clean, refilled, and stored properly. Draws up seating charts and floor plans when required. Oversees service staff to ensure service standards are being met during a function. Distributes daily work assignments to setup attendant and wait staff. Assigns servers stations and coverage for all function areas. May also be responsible for coffee breaks or room service. Is responsible for the correct application of all policies and internal controls and is required to act in a professional manner as well as encourage other employees to do likewise. Provides proper safety and security of company assets, including personnel. Keeps personnel informed of marketing promotions and events, changes to policies and procedures, and other necessary information. Responds to and handles customer requests and complaints in a timely and professional manner. Facilitates a proper flow of communication between departments and within the facility. Contributes to the general management of the company by attending management meetings. Keeps the Event Center manager promptly and fully informed of all situations and problems or matters of significance so that timely, corrective action may be taken. Assists department personnel with job duties and responsibilities as necessary. Is responsible for Event Center equipment and supplies such as trays, tray jacks, food warmers, and chafing dishes. Notifies the Event Center manager of any faulty equipment. Learns how to control the Event Center light and speaker systems. Learns how to direct employees in concert staging setup. Previous Banquets and supervisory experience. Excellent time management, organizational, public relations and communications skills. Ability to resolve conflicts efficiently and professionally. Ability to work flexible hours, rotating shifts, weekends and holidays. Physically capable of remaining on feet, sitting, and walking for extended periods of time. Subject to internal working conditions including a smoking and alcohol service environment. Ability to lift up to forty 40 pounds. Experience: One to two years of related experience. Minimum of one year of experience as a banquet server. 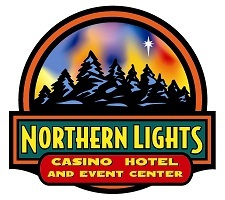 735 Banquet Wait Staff in Northern Lights Casino Hotel & Event Center, Walker, Mn. 356 Banquet Captain in Northern Lights Casino Hotel & Event Center, Walker, Mn.